Turning Pages meets to discuss Lois Lowry's Newbery Medal-winning classic, The Giver. Twelve-year-old Jonas lives in a seemingly ideal world. Not until he is given his life assignment as the Receiver does he begin to understand the dark secrets behind his fragile community. Main Street Theater Book Group for The Giver has been canceled this week. We apologize for any inconvenience. The Old St. Pat's Book Group meets at 7:00 p.m. to discuss The Giver by Lois Lowry. Bosnian American writer Aleksandar Hemon came to Chicago in 1992 for a month-long cultural exchange program and was supposed to return to Sarajevo on May 1—the same day the city came under siege. Granted asylum in the United States as a political refugee, Hemon began writing fiction. Islands, one of his first stories written in English, appeared in Best American Short Stories 1999. An acclaimed novelist and short story writer, Hemon is the author of The Question of Bruno, Nowhere Man, The Lazarus Project, and Love and Obstacles. His new book is a searing collection of autobiographical essays. Lois Lowry is currently considered a "single author." If one or more works are by a distinct, homonymous authors, go ahead and split the author. 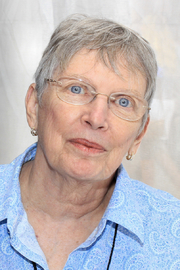 Lois Lowry is composed of 9 names. You can examine and separate out names.